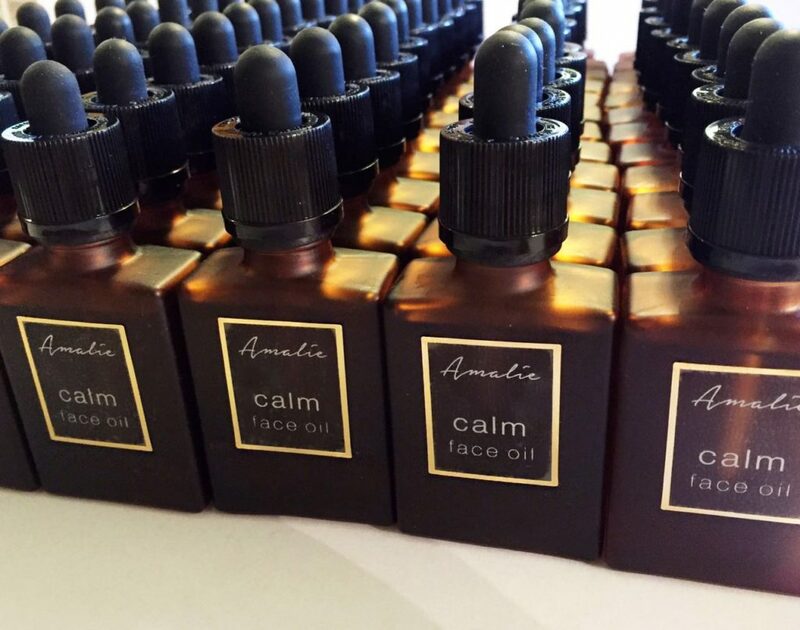 So today, I want to dive into CALM – the formulation, research and use cases of this fantastic organic oil. The label on CALM classifies it as a “face oil”.. this is both accurate and inaccurate. The uses for CALM range much further than a facial oil. 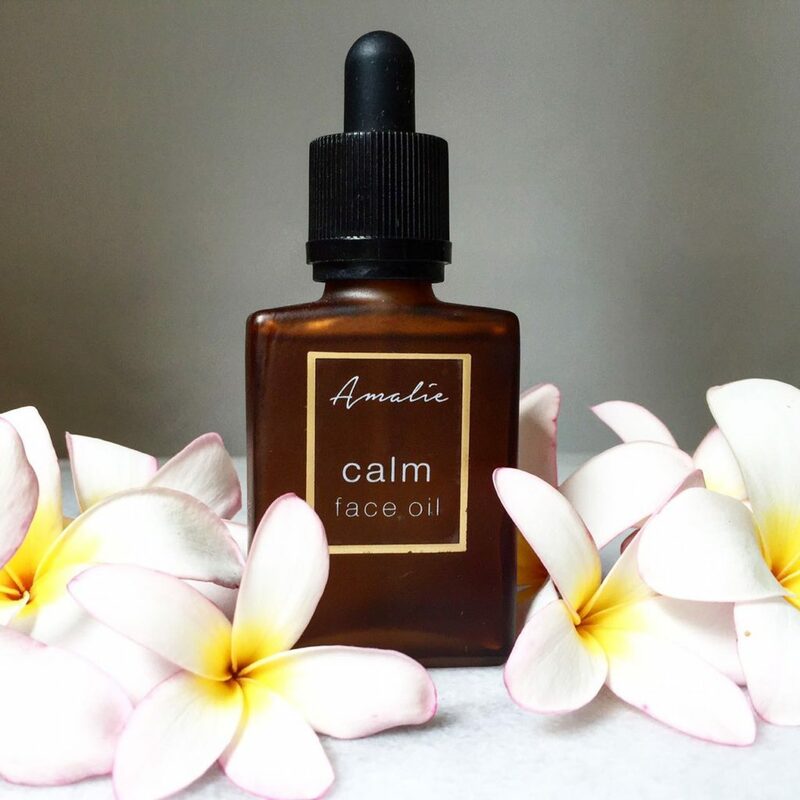 CALM is an anti-inflammatory, calming oil for anywhere and everywhere on the body where one is experiencing inflammation, redness, or general irritation—and it really works. 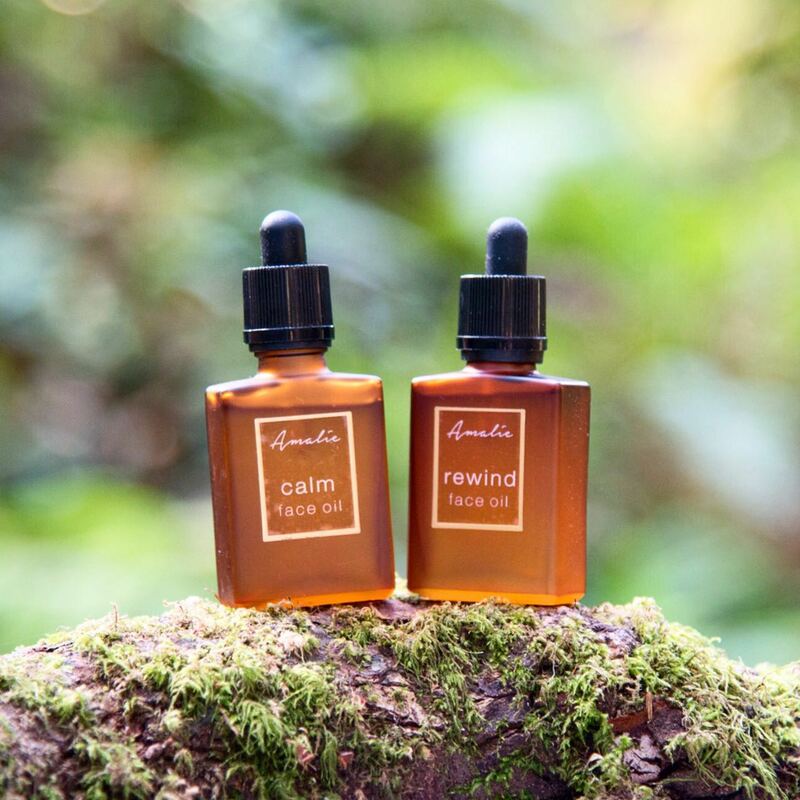 Much like REWIND, CALM’s formulation was upgraded this year by the inclusion of squalane as an extracting oil, because of squalane’s amazing ability to quickly and effectively penetrate the skin—and bring active ingredients along for the ride. Organic Jojoba (Simmondsia Chinensis) Oil, Organic Squalane (from organic olives), Organic Yarrow (Achillea Millefolium) flower Extract, Organic Lavender (Lavandula Angustifolia) Extract, Organic Sage (Salvia Sclarea) Leaf Extract, Organic Spearmint (Mentha Spicata) Leaf Extract, Organic Honeysuckle (Lonicera Japonica) Extract. The true superstar in CALM is yarrow. Yup, that’s me, picking your yarrow! Yarrow, the main ingredient, exhibits anti-inflammatory properties related to the content of flavonoids and sesquiterpene lactones in the material. Yarrow contains a flavanoid called chamazulene that inhibits the production of leukotriene, which causes inflammation signals to occur in the body. Those of us with have eczema or dermatitis have a disturbance (or at least more pro-inflammatory cytokines) in our skin’s inflammatory response system. Yarrow contains a flavanoid called chamazulene (mentioned above, source) that inhibits the production of leukotriene (and production of leukotriene causes inflammation signals to occur in the body). For more on yarrow + the research behind it, refer to our in-depth post here. Next in the formulation comes lavender flower extract, which reduces redness and inflammation – the main side effects / symptoms of dermatitis and eczema. 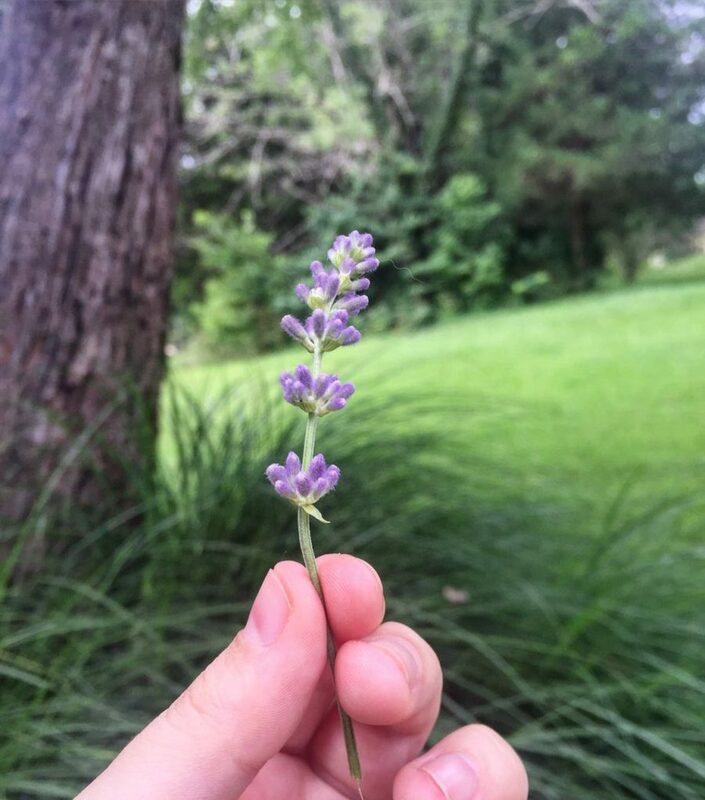 Additionally – and relevant to CALM more so than REWIND – is lavender’s wound-healing powers (source). Any of you that have gone through rounds of eczema outbreaks know that itchy patches can turn into open wounds before you know it – especially in your sleep. Hopefully, the inflammation can be assuaged before it gets to that point, but in case it does happen, lavender is a good bet. 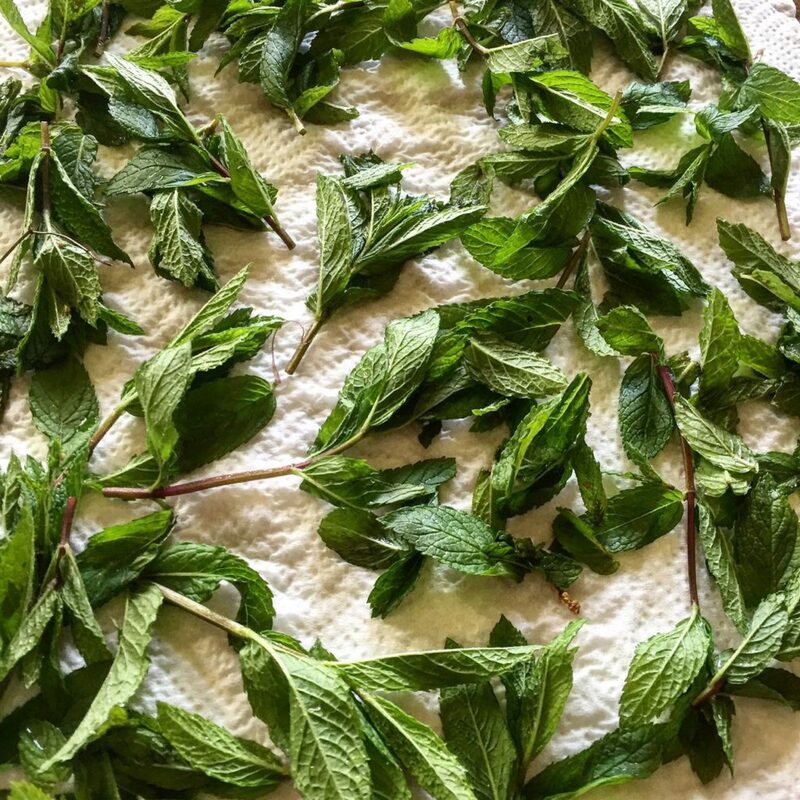 Next sage and then spearmint join the formulation – both of which were chosen for their exceptionally high rosmarinic acid content. As I touched on in the REWIND blog, rosmarinic acid is a great regulator for melanin (source)– and if you have eczema like me, you know how much eczema messes up your skin color. Even after the itching sensation is gone and the scales have flaked off (gross, but true), you’ll be stuck with red, discolored skin that hopefully won’t stay that way. Sometimes it does, though. Further, rosmarinic acid alleviates signs of oxidative stress (source), is strongly antioxidant and – YES! – anti-inflammatory. In vivo, rosmarinic acid – when topically applied – was an inhibitor of the inflammatory response (source). Honeysuckle has aspirin-like properties (because aspirin is made from salicylic acid), giving it anti-inflammatory properties. It can improve skin thickness, barrier functions and collagen production — that’s all good news for your skin – especially when you have eczema, like me. I am obligated to mention that eczema is a medical condition, and we cannot say that CALM directly treats eczema. 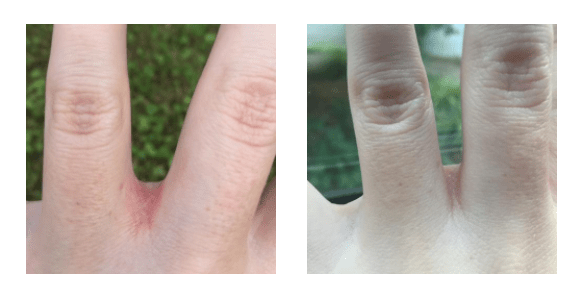 However, for me, personally – Megan Cox – CALM has helped greatly in managing the itching, inflammation and moisture levels of my skin on my eczema patches – more so than anything on the market. CALM does not burn or sting when I use it. It instantly nourishes, moisturizes and calms my skin. My skin, personally, becomes less red and inflamed about 30-45 minutes after application. That’s what CALM does for me. Many, many customers tell me that CALM is the ONLY thing that works for them. Me, too. I hope CALM can do the same for you. 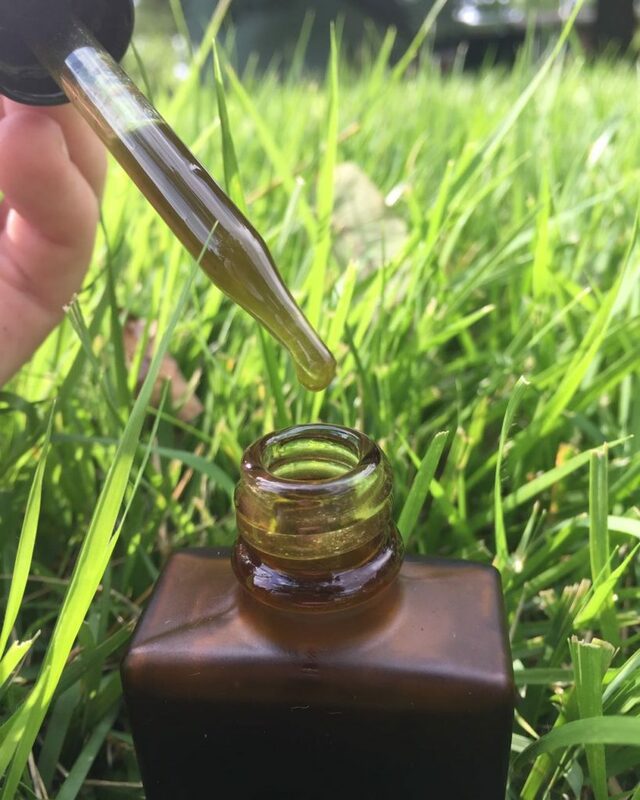 Grab a bottle, apply a few drops directly to the affected area, and wait 30-45 minutes before reapplication. Make sure to get it before it’s gone for the season!